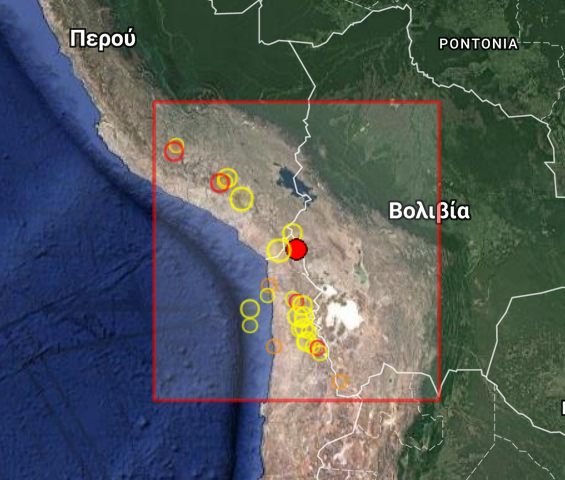 A 4.1R in Chile this morning was reported at the location shown in the map. We expected this today at the coordinates (20.1S, 69.4W). Error = 2 degrees in ONE direction negligible in the other. Not bad. This is near the border with Bolivia, where we expected also. The error from the expected epicenter in Bolivia is similar.